Update: The livestream is over folks, but you can watch the entire thing right here on our Twitch channel. 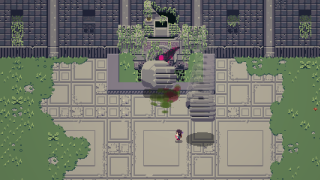 Original: We've got an early look at Titan Souls, an indie adventure game where everything comes in ones: you can only take one hit, only have one arrow, only fight one enemy at a time. That enemy, however, usually happens to be a giant boss. We'll be livestreaming Titan Souls from our Twitch channel today from 3-5pm PDT, come watch!